This project, cofounded by the European Social Fund and the state budget of the Czech Republic, aims at developing theoretical approaches in the study of structured populations of aquatic organisms, especially with regard to the quantification of potential human impact on aquatic ecosystems and suggestions to minimize their potential anthropogenic impacts. Climate change may become one of the major drivers affecting the diversity, composition, structure, and functioning of ecological communities over the next several decades. Specific changes will include shifts in the means and variability of ecologically important factors, including temperature, precipitation, irradiance and wind. All of these aspects of climate change are likely to have profound effects on natural communities, with potential feedbacks from communities to climate. However, temperature has been identified as one of the most important factors associated to climatic change because of its major influence on the rate of biochemical reactions and then on biological traits, species interactions, and ecological communities (Petchey et al. 1999, Brown et al. 2004, Rall et al. 2010, Brose et al. 2012, Rall et al. 2012). Global surface temperature increased by 0.74°C on average over the last century (1906–2005) and should continue to increase from 1.1°C to 6.4°C by the end of the twenty-first century, depending on the projection scenario used (IPCC 2007). It is therefore more and more urgent to understand and predict the effects of temperature change on organisms, populations, and communities on which humanity depends (Montoya and Raffaelli 2010). Until recently, most studies focused on the effects of temperature at the individual or species level. They reported shifts in species distribution and phenology and also strong influence of temperature on physiological rates, including growth, reproduction, respiration and mortality (Parmesan and Yohe 2003, Pörtner and Farrell 2008, Peñuelas and Filella 2009). However, there are now evidences that climatic change also affects species interactions and evolution, community dynamics, and ecosystem functioning (Harmon et al. 2009, Brose et al. 2012, Dossena et al. 2012). Recently, Brose and collaborators (2012) identified a novel pathway through which warming indirectly affects ecological communities: by changing the size structure, i.e., the body-size distribution within communities. Warming can shift these distributions towards dominance of small- over large-bodied species and thereby affects community dynamic and structure. For instance, temperature effects via size structure have implications for top-down and bottom-up control in ecosystems and may ultimately yield novel communities (Brose et al. 2012). As temperature, body size scales with metabolism and thereby influences individual life history traits, species interactions, food-web dynamics and structure (Brown et al. 2004, Brose et al. 2008, Brose 2010). According to the metabolic theory of ecology (MTE) developed by Brown et al. (2004), temperature and body mass account for the majority of the variation in data on metabolism rate, life history attributes, population interactions, and ecosystem processes. It is therefore crucial to improve our understanding of the interplay between temperature and body-size to investigate and predict the effects of climatic change on organisms, populations and communities. Scaling up effects of temperature and body size from physiology to the levels of populations, communities and ecosystems may provide a crucially important mechanistic approach for forecasting future consequences of global warming (Brose et al. 2012). Another important aspect of climatic and global changes is the increasing rate of biodiversity loss (Butchart et al. 2010, Pereira et al. 2010). There are now many evidences that species extinctions are increasing and there is an urgent need to understand the limits to population persistence in a changing environment. Different approaches such as climate envelope models or mechanistic population modeling has been used to this purpose (Chevin et al. 2010). However, few studies and models have considered the role of phenotypic plasticity and evolution for species persistence in the context of climatic change (but see(Chevin et al. 2010). This is surprising given the importance of phenotypic plasticity and evolution for population dynamics and community structure (Persson et al. 1998, Agrawal 2001, Price et al. 2003, De Roos et al. 2006). Moreover, physiological acclimation and phenotypic plasticity have been identified as two important processes that animals use to cope with environmental changes (Kristensen et al. 2008). Therefore, it may be relevant to investigate the effects of temperature on phenotypic plasticity and then consequences for population dynamics and persistence. 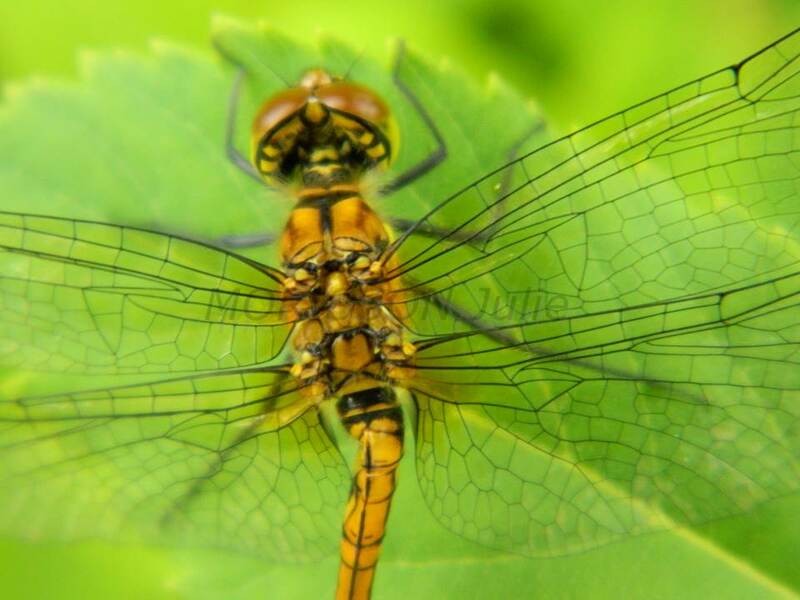 A range of different methods, including models and experiments, have been used to investigate the effects of climatic change on organisms, populations, and communities. Our approach is to combine physiologically structured population models and experiments to investigate the interplay between temperature, body mass, and phenotypic plasticity. This may help to improve our understanding and predictions about the impacts of climate change on trophic interactions, population dynamics and persistence, and community structure (e.g. body size spectra). Combining models and experiments to investigate how phenotypic plasticity modulates the impacts of climatic change on trophic interactions and population dynamics. Develop food-web models to investigate the effects of temperature, body-size and enrichment on predator-prey interactions and population stability. Investigate the effects of temperature and enrichment on interaction between multiple predators and consequences for prey population, population dynamics and community stability. Objective 1. Combining models and experiments to investigate how phenotypic plasticity modulates the impacts of climatic change on trophic interactions and population dynamics. To fulfil this objective and quantify short-term interaction strength, we used the functional response model (Holling 1959) as a simple mechanistic model for the non-linear relationship between prey density and predator feeding rate. For the experiments, we used the dragonfly Sympetrum vulgatum (Odonata: Libellulidae) preying on Daphnia magna (Cladocera: Daphniidae). We measured changes in predator morphology (i.e., body-size), foraging behaviour and physiology to disentangle the effects of thermal plasticity on organisms and their interactions. Finally, we used our empirical measures of feeding and metabolic rates to quantify the effects of chronic and acute temperature changes on predator energetic efficiency and short- and long-term interaction strengths. The results should be published soon. Objective 2. Develop food-web models to investigate the effects of temperature, body-size and enrichment on predator-prey interactions and population stability. We are extending bioenergetic food-web models developed by Yodzis et Innes (1992) to study the impact of temperature and enrichment on population stability as in Binzer et al. (2012). We are also investigating how the effects of temperature on body-size (i.e. the Temperature-Size rule) influence population dynamics. Models are still under development but R codes are already available (under request). Objective 3. Investigate the effects of temperature and enrichment on interaction between multiple predators and consequences for prey population, population dynamics and community stability. The objective is to measure predation rates along a gradient of enrichment (i.e. prey density) and temperature for different combinations of predators. More specifically, we want to measure the functional response (i.e. the relationship between prey density and the number of prey eaten by a predator) of each of the predators (one individual in experiment) and then use short-term functional response models to predict the outcome of feeding trials involving two predator individuals (of the same species or of different species) for two selected temperatures and three selected prey densities. We will also measure metabolic rates of the predators at the two selected temperatures. We will next use our empirical measure of predator functional responses and metabolism to parameterize food web models and predict the effects of global warming on population dynamics and food-web stability. Agrawal, A. A. 2001. Phenotypic plasticity in the interactions and evolution of species. Science 294:321-326. Binzer, A., C. Guill, U. Brose, and B. C. Rall. 2012. The dynamics of food chains under climate change and nutrient enrichment. Philosophical Transactions of the Royal Society B: Biological Sciences 367:2935-2944. Brose, U. 2010. Body mass constraints on foraging behaviour determine population and food web dynamics. Functional Ecology 24:28-34. Brose, U., J. A. Dunne, J. M. Montoya, O. L. Petchey, F. D. Schneider, and U. Jacob. 2012. Climate change in size-structured ecosystems. Philosophical Transactions of the Royal Society B: Biological Sciences 367:2903-2912. Brose, U., R. B. Ehnes, B. C. Rall, O. Vucic-Pestic, E. L. Berlow, and S. Scheu. 2008. Foraging theory predicts predator-prey energy fluxes. Journal of Animal Ecology 77:1072-1078. Brown, J. H., J. F. Gillooly, A. P. Allen, V. M. Savage, and G. B. West. 2004. Toward a metabolic theory of ecology. Ecology 85:1771-1789. Butchart, S. H. M., M. Walpole, B. Collen, A. Van Strien, J. P. W. Scharlemann, R. E. A. Almond, J. E. M. Baillie, B. Bomhard, C. Brown, and J. Bruno. 2010. Global biodiversity: indicators of recent declines. Science 328:1164-1168. Chevin, L.-M., R. Lande, and G. M. Mace. 2010. Adaptation, plasticity, and extinction in a changing environment: towards a predictive theory. PLoS Biol 8:e1000357. De Roos, A. M., D. S. Boukal, and L. Persson. 2006. Evolutionary regime shifts in age and size at maturation of exploited fish stocks. Proceedings of the Royal Society B: Biological Sciences 273:1873-1880. Dossena, M., G. Yvon-Durocher, J. Grey, J. M. Montoya, D. M. Perkins, M. Trimmer, and G. Woodward. 2012. Warming alters community size structure and ecosystem functioning. Proceedings of the Royal Society B: Biological Sciences 279:3011-3019. Harmon, J. P., N. A. Moran, and A. R. Ives. 2009. Species response to environmental change: impacts of food web interactions and evolution. Science 323:1347-1350. Holling, C. S. 1959. Some characteristics of simple types of predation and parasitism. The Canadian Entomologist 91:385-398. IPCC. 2007. Climate Change 2007: the physical science basis. Contribution of working group I to the fourth assessment report of the intergovernmental panel on climate change. Cambridge University Press, Cambridge, United Kingdom and New York, NY, USA. Kristensen, T., A. Hoffmann, J. Overgaard, J. Sørensen, R. Hallas, and V. Loeschcke. 2008. 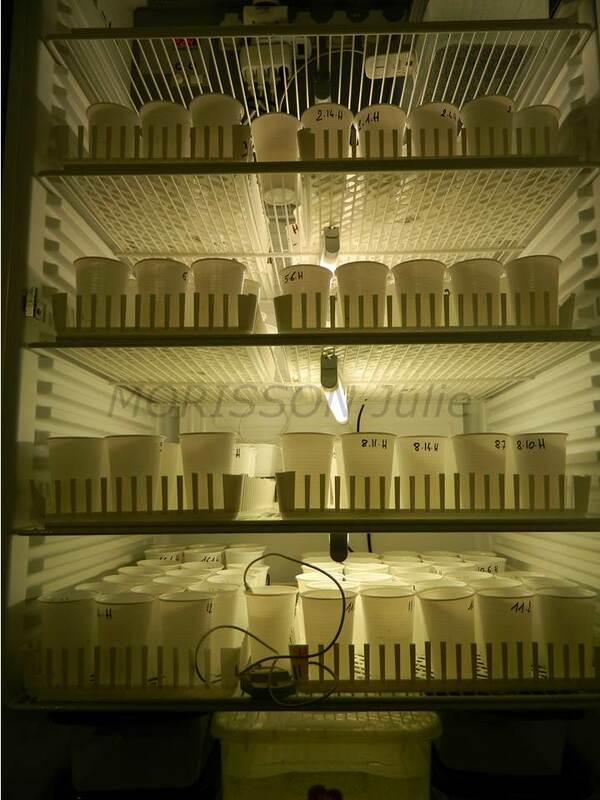 Costs and benefits of cold acclimation in field-released Drosophila. Proceedings of the National Academy of Sciences 105:216. Montoya, J. M. and D. Raffaelli. 2010. Climate change, biotic interactions and ecosystem services. Philosophical Transactions of the Royal Society B: Biological Sciences 365:2013-2018. Parmesan, C. and G. Yohe. 2003. A globally coherent fingerprint of climate change impacts across natural systems. Nature 421:37-42. Peñuelas, J. and I. Filella. 2009. Phenology feedbacks on climate change. Science 324:887-888. Pereira, H. M., P. W. Leadley, V. Proença, R. Alkemade, J. P. W. Scharlemann, J. F. Fernandez-Manjarrés, M. B. Araújo, P. Balvanera, R. Biggs, and W. W. L. Cheung. 2010. Scenarios for global biodiversity in the 21st century. Science 330:1496-1501. Persson, L., K. Leonardsson, A. M. de Roos, M. Gyllenberg, and B. Christensen. 1998. Ontogenetic scaling of foraging rates and the dynamics of a size-structured consumer-resource model. Theoretical Population Biology 54:270-293. Petchey, O. L., P. T. McPhearson, T. M. Casey, and P. J. Morin. 1999. Environmental warming alters food-web structure and ecosystem function. Nature 402:69-72. Pörtner, H. O. and A. P. Farrell. 2008. Physiology and climate change. Science 322:690-692. Price, T. D., A. Qvarnström, and D. E. Irwin. 2003. The role of phenotypic plasticity in driving genetic evolution. Proceedings of the Royal Society of London. Series B: Biological Sciences 270:1433-1440. Rall, B. C., U. Brose, M. Hartvig, G. Kalinkat, F. Schwarzmüller, O. Vucic-Pestic, and O. L. Petchey. 2012. Universal temperature and body-mass scaling of feeding rates. Philosophical Transactions of the Royal Society B: Biological Sciences 367:2923-2934. Rall, B. C., O. Vucic-Pestic, R. B. Ehnes, M. Emmerson, and U. Brose. 2010. Temperature, predator–prey interaction strength and population stability. Global Change Biology 16:2145-2157. Yodzis, P. and S. Innes. 1992. Body size and consumer-resource dynamics. American Naturalist:1151-1175.